A card to capture the special day. This card shows an image of a loving couple in the park… The card is hand embellished with red ribbon and a shimmering jeweled flowers. 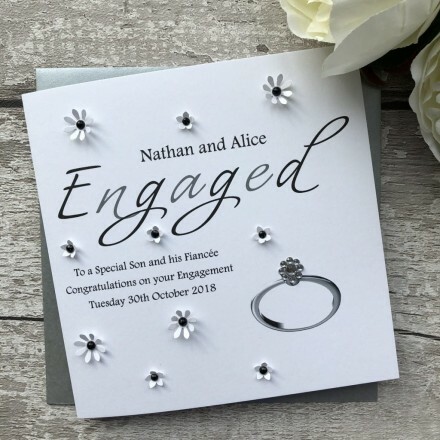 This handmade Engagement card is teamed with a silver square envelope, protected in a sealed cellophane bag and sent to you in a double board outer envelope to ensure it arrives in pristine condition.